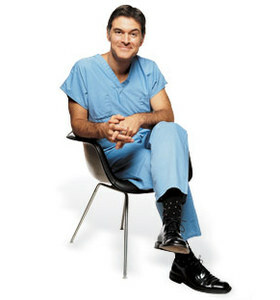 Dr. Mehmet Oz, one of the most popular TV personalities and health advisors, is back for a new season of the “Dr. Oz Show” and plans to inspire more people to change their lifestyle choices into healthier and more responsible ones. After all, “losing weight is not rocket science”, he says, according to Fox News. Returning on the small screen with a new season of his show, Dr. Oz states that the secret in losing weight stands in not carrying too much about it, in the sense of not putting pressure on oneself to achieve the goal. “In fact, the reason some people are thin and stay thin is they’re not working hard at it”, he explains. Most of the people who have successfully lost the pounds and kept the off “have figured out a few simple ways of automating their lives.” Dr. Mehmet Oz concludes that it is all about finding simple rules that you can follow every day, for the rest of your life. “And if you don’t love doing it, it’s not easy for you to do, you’re not going to do it,” he adds. But most of the times, people don’t know where to start. According to Dr. Oz, it all starts with how you decide to look at things. He explains that would be better to ask yourself that is someone close to you would eat the things you eat, and have your lifestyle, what would you do for that person? Then turn around the behavior towards yourself. The new season of the Dr. Oz Show is planning on rewarding the winner of the “Transformation Nation” contest with big cash. The challenge will be launched in late September and the winner is looking at one million dollars.